This week has wine and cheese pairings, bottomless wine, succulents and wine. Can you tell we like wine? It’s back to school so enjoy a classic high school movie with this one being loosely based on Jane Austen’s novel, Emma. Set in Beverly Hills, directed by Amy Heckerling and catapulting Alicia Silverstone and the phrase, “As if”, into all our lives. Learn to design and care for a succulent terrarium using locally grown varieties. This workshop will discuss the basics of succulent care and methods of keeping them happy in their new glass dome. Create your one of a kind hanging garden using colored sands, shells and various rocks- all while enjoying boutique wines and cheese boards. As a member of the Quarterback Club, you could meet Coach Taggart and several other coaches this season. Don’t delay in getting your membership or your guest tickets purchased. A wonderful dinner is included with each ticket. You’ll be mega-psyched for this one! Brass Tap is kicking it with all things the 80’s. Five rounds covering all your favorite jams, movies, music & clothes from the 80’s. Dress in 80’s attire (we know you want too) and snag their specialty drink for the evening “Blue Stuff” at a discounted price. Join KitchenAble to learn to make (by hand) the delicate potato dumplings, known in Italy as gnocchi. After learning a basic dough recipe (and three techniques for forming the dough) you will enjoy the pasta as Gnocchi all Norcina (or Mushroom and Sausage cream sauce), with a fresh Green Salad, and refreshing Limoncello Sorbet for dessert. The Pinnacle Awards spotlight leading women in business who hold themselves to high standards and contribute to the betterment of the community. Ten outstanding women from an 18-county region of Northwest Florida are selected from nominations and honored at the annual Pinnacle Awards, presented by 850—The Business Magazine of Northwest Florida. 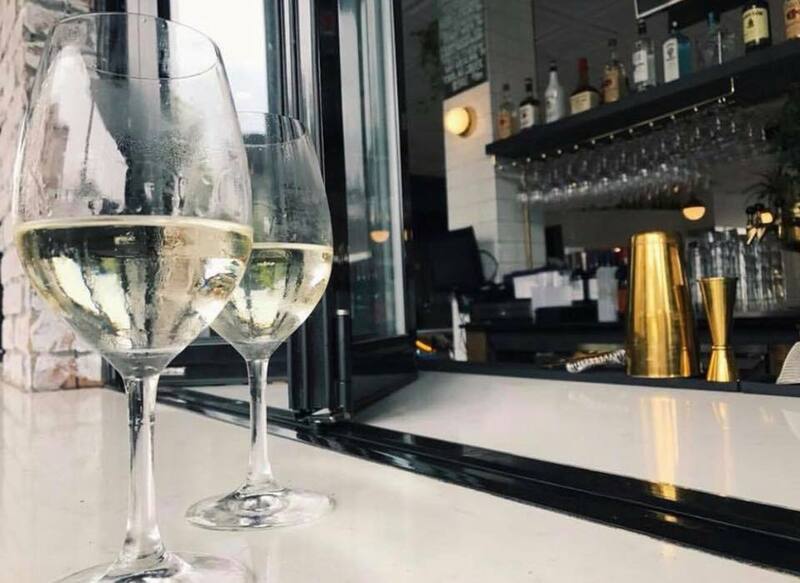 Join Andrew’s for a delicious night of wine and tapas-style food pairings downstairs in a social setting in their Private Rooms. Executive Chef Matt Varn will create an eclectic tasting menu to complement the night’s spectacular selection of wines. This is a casual gathering – bring friends and meet some new ones! This Friday kick off your weekend early with All You Can Drink House Pinot Grigio at Centrale. Pay $15 and get all the Pinot Grigio your heart desires. The Steak & Burger Dinner incorporates an evening of good food, great entertainment and interaction with the Boys & Girls Club members at each table. As adults enjoy juicy, mouth-watering hamburgers, Boys & Girls Club members will be treated to a special steak dinner. Each table will consist of six adults and two club members so that the event attendees learn about our club members in a unique setting. In honor of National Dog Day on August 26, Madison Social is hosting a dog crawl with Centrale and Township. This crawl includes 3 drinks for dog owner, 3 treats for dog and a bandana that says “Paws. Pints. Patios.” What’s more to love?